The US immigration medical examination is mandatory for individuals who are seeking adjustment of their status to that of permanent residence or green card applicants. A USCIS approved civil surgeon or a panel physician usually conducts the medical exam. During an immigration medical exam, a set of vaccines recommended by the CDC (Centre for Disease Control and Prevention) are administered to the applicants. The CDC recommendation is based on the Immigration and Nationality Act. Congress Legislated in the mid 90s that each immigrant entering the US or seeking adjustment of status to that of permanent resident has to show proof that he has been vaccinated against diseases that can be prevented through vaccinations. As stated above, the medical examination for the US visa applicant will be conducted by a Panel Physician who is approved by the USCIS (United States Citizenship and Immigration Services). Apart from the list of vaccines listed in the INA, the ACIP, Advisory Committee for Immunization Practices, recommends a list of other vaccines based on the current situation. However, the CDC also has fixed criteria to decide the type of vaccine needed to be administered to the applicant. The USCIS civil surgeon determines whether the applicant needs to be administered a particular type of vaccine or not based on certain parameters. If you have been administered age appropriate vaccines before, you need to carry written proofs of your earlier vaccination and show it to the civil surgeon. If you have not received age appropriate vaccines, the doctor will administer it during the immigration medical examination. If you decide to take the vaccines from your healthcare provider, make sure you carry the certificate of your immunization to present to the USCIS Civil Surgeon. The USCIS civil surgeon will not sign the I693 form unless you take the vaccines or present a proof of having taken it earlier. It will be indicated in the I693 form by the immigration doctor whether the vaccine is recommended for you or not. If it is not right for you on medical grounds due to pregnancy or allergies, the doctor will mark it as contraindicated in the I693 form. Contraindication refers to a medical condition that prevents the applicant from receiving that vaccine. Certain vaccines are not recommended for pregnant women. These vaccines too will be contraindicated in such a case. However, in other cases it is at the discretion of the civil surgeon whether it is contraindicated or not. 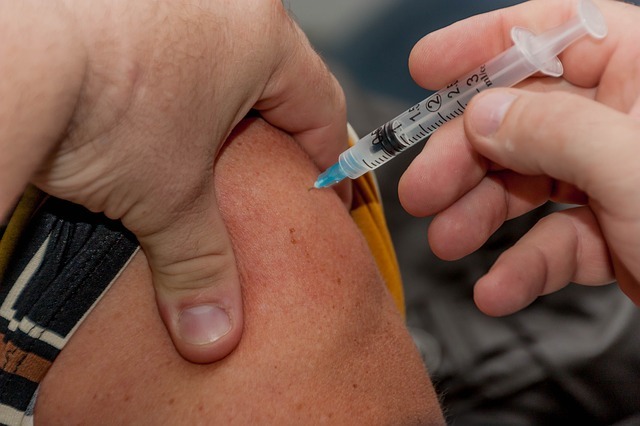 There are certain vaccines that require more than one sitting to be completely administered. In such a case, the applicant can take one dose with the civil surgeon and follow up with his health care provider. Once the single dose has been received, the civil surgeon will sign the I693. There are many vaccines that are administered in just one sitting. Usually, this does not pose a problem to the receiver’s health; however, if an applicant has a medical condition that prevents this, the doctor will act accordingly. Certain vaccines, for instance, the flu vaccine, is seasonal. The flu season lasts from October to March. Applicant appearing for his medical within this time frame must receive the flu vaccine. Applicants appearing for the immigration medical exam in the other time frame do not need to take this vaccine. The fees for the vaccination are borne by the applicant himself depending on the negotiation with the civil surgeon. It is best to enquire about the fees prior to scheduling the appointment with your civil surgeon. If you refuse to get vaccinated, your application for Green Card or Permanent Residence is likely to be denied. However, if you refuse the vaccine based on sincere moral or religious grounds, you can apply for a waiver. You can ask the doctor which form to fill when applying for the waiver. Once you complete the exam, the doctor will hand over the signed I693 form in a sealed envelope. It is the responsibility of the applicant to deliver it to the USCIS. If the form appears tampered with or not filled properly, the results will be instantly rejected. Apart from vaccination, tuberculin skin test, chest x ray, body check up and blood tests for VD are also done during the examination.